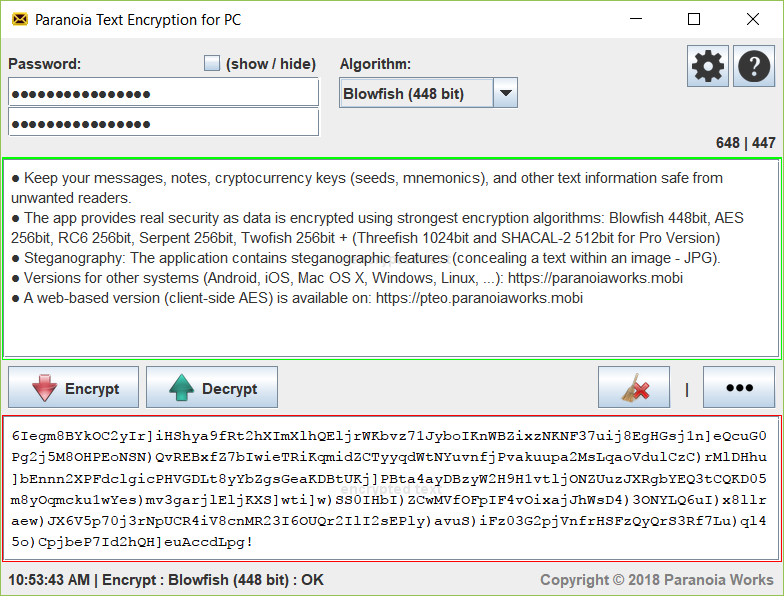 Keep your notes, messages (emails, chat posts, social networking posts, SMS, …), cryptocurrency keys (seeds, mnemonics), and other texts safe from all unwanted readers. A steganography implementation is included (concealing a text within an image – JPG). A steganographic algorithm (F5 algorithm) is used in combination with chosen symmetric cipher algorithm to make a final steganogram (JPEG image).